Beans, originally uploaded by [Zakkaliciousness]. While this might look odd to some, it's just another day on the bike lanes of Copenhagen. 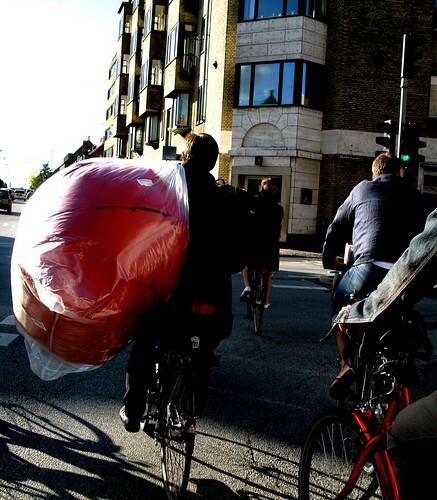 The man's bean bag had to get home somehow.